Comté–it’s just one of the best cheeses ever, and it’s particularly great in this recipe. How to make a Comté Chicken Dish. In our country, the Swiss get most of the acclaim for Gruyère, that marvelously nutty, deeply flavored, intensely sharp cooking-snacking-melting, overall life-enhancing cheese. Yet just west of Switzerland, in the delightfully rustic, unspoiled and woefully under-celebrated Franche Comté region, the French make an astounding version of Gruyère. Now, we all know about Switzerland’s famous neutrality, but when it came to strong-arming in on the claim to the “Gruyère” name, the Swiss seemed to have won that battle. Hence, the French call their version something else. Stateside, you may find it called “Gruyère de Comté,” or “French Gruyère.” Most in-the-know cheesemongers, however, will simply call it as the French do: Comté. 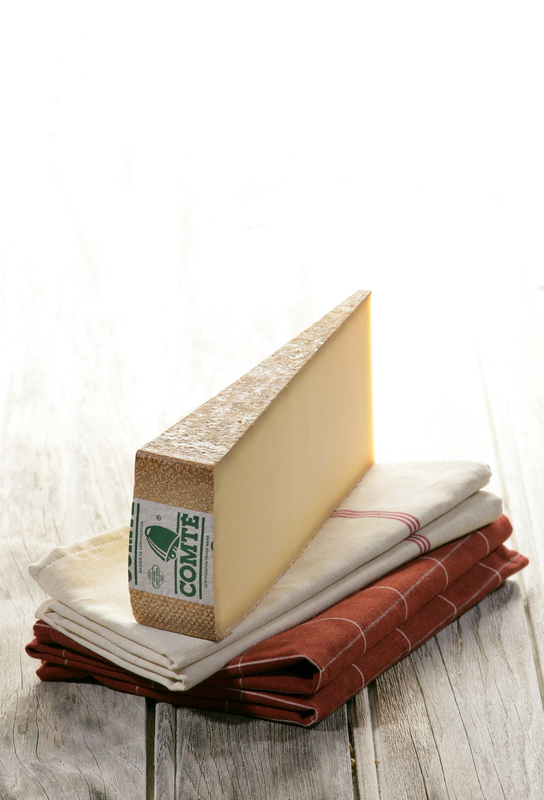 Being generally partial to France in all things cooking, I tend to prefer Comté over Swiss Gruyère—Comté simply tastes richer, deeper, and uncommonly more wild (akin to a mountain meadow buzzing and chirping and alive with sweet grass smells). One of the things I learned when traveling through the Comté region is that the cheese goes marvelously with curry in recipes—I saw the combo often on restaurant menus. While this recipe hitchhikes a bit from a classic Chicken Florentine recipe, it brings that dynamite Comté-curry duo to mix for something entirely its own. Serve with buttery rice. And this may be one of those meals where you’ll want to freshen up the palate with a good garlicky green salad before heading on to dessert. 1. Place chicken breasts, one at a time, between two sheets of plastic wrap and pound until 1/4 inch thick. (Or slice chicken breasts in horizontally into two thin scallops, or butterfly if small.) Season both sides with salt and pepper. 2. In a large skillet, melt 1 tablespoon of the butter over medium-high heat. Add chicken and cook for 6 to 8 minutes, or until no longer pink inside, turning once. Transfer to a platter and cover with foil to keep warm. 3. For sauce, in a small saucepan, cook and stir shallots in the remaining 1 tablespoon butter until tender but not brown. Add flour and curry powder; cook and stir briefly to form a paste. Slowly add milk, whisking with a wire whisk until combined. Bring to boiling; cook and stir until the mixture boils and thickens; cook and stir two minutes more. Stir in 1/2 cup of the cheese until melted. Remove from heat and set aside. 4. Heat 1 tablespoon olive oil in a large skillet. Add spinach, cooking and turning just until wilted (you may need to do this in two batches). Do not overcook—a few remaining unwilted leaves is fine. 5. Transfer spinach to a shallow flameproof baking dish. Top with the cooked chicken breasts. Top with sauce and sprinkle with remaining 1/4 cup cheese. 6. Broil for 4 to 6 minutes or until cheese and sauce bubble and begin to brown. Made this tonight and it was absolutely delicious! This recipe will be added to our regular rotation!